All projects completed under the direction of George C. Wolfe and Paula Scher. 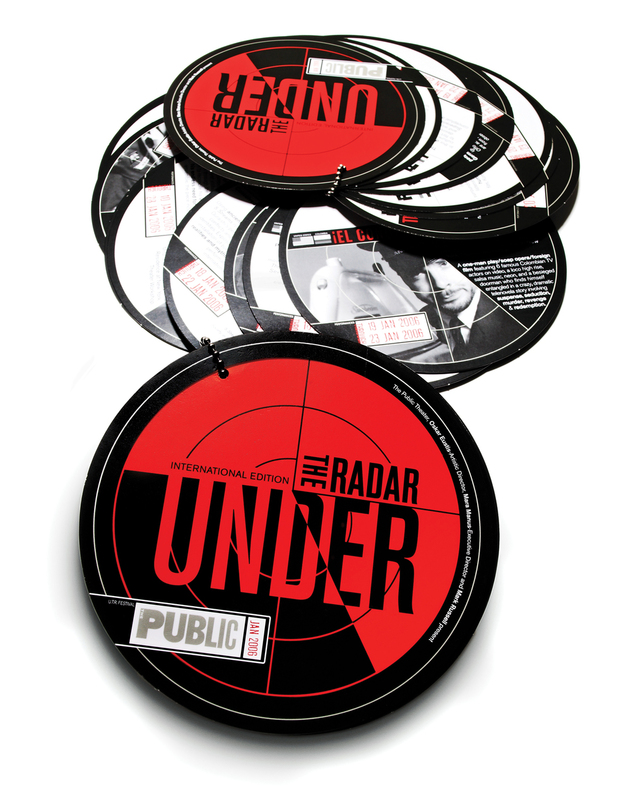 Identity and collateral for Under the Radar. A festival of global experimental theater works. Promotional photography and artwork for Shakespeare’s Richard III directed by Peter DuBois and starring Peter Dinklage. Poster for Michael John LaChiusa's See What I Wanna See. A play about a murder in central park told through the eyes of its witnesses. Logo for The Public Talks, a series of curated post show discussions.